I want to lock my private files in windows for limited usage, I dont know which software is good to do that. Can you tell me which software is the best to protect files and folders? and also how to use it? Re: Which is the best software in Windows to protect files and folders? STEP 1: Download the setup of Secret Disk from internet CLICK HERE!! STEP 2: Install it to your computer and start the program. STEP 3: Provide the desired password which you want to use to lock your files make sure your password is strong. STEP 4: Secret Disk will create a partition for your hidden files, now you can store the files which you want to lock in the Secret Disk created partition and lock your partition when you are done. STEP 5: To unlock the secret partition, just start the Secret Disk program again and type your password. There are many ways to make your Folders and Files can be protected. 1) You can download Folder Lock Software and install it. 2) Best Crypto File Lock for Windows. It is not to be installed and it does not lock Folders. It renames them to .enc (Encryption). But it is used to lock files. windows. You can use any one. the most best software to protect files and folders in windows are..
And many more like software are available. 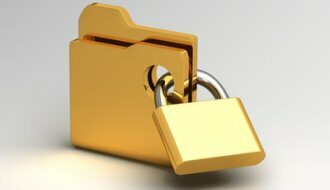 The best software to protect your private folders and files is the folder lock software and you can download it from the internet and install in the system so that your files and folders which are important and private are get protected with that software.and it is a very good software to use and install. There are many softwares in the market to protect the files and folders. The best software for protecting your file and folders . There is many software anitvirus like avasti, avira, mcfee, are the best protecting program in window . If you have folders and files that you'd like to keep private, you should check out Folder Lock. Folder lock is available for free on the websites and you can download it very easily. Just visit: http://folder-lock.en.softonic.com/ and download it. After installing it, you can lock your personal or private folder, so that others would not be able to see them. yes there are best security folder softwares in windows 7 you can set password on folders like this type of softwares. Xtrue Data Protect for Windows Vista is coming soon! Free Upgrade from Windows XP! ""According to "Safeware".... some 208,000 notebooks with a value of nearly $640 million were stolen last year"
Source: InformationWeek Online, October 16, 2001." Why Xtrue Data Protect 3.5? Power protection for your Data-in Use! Folder Protect is a powerful concept in Data Security. Using Windows Kernel level protection that even works in Safe Mode ensuring complete security of password protected folders, Folder Protect enables you to password protect your folders, files, drives , installed programs, and popular extensions, and lets you set variable access rights. Folder Protect goes beyond normal file locking and encryption by letting you customize your security between making files inaccessible, hidden, delete-proof, or write-protected, with options to set either one of these parameters in conjunction with the other. You can lock, hide, block access, prevent data from being deleted or modified, and mask popular media and document extensions with a single-click. The program can work in complete stealth mode and you can choose an idle time when the data gets protected automatically. Best-of-Breed Data Security Features: Folder Protect password-protects your important folders, files, drives, and programs. Folder Protect offers 'Data in Use' security and lets you protect your files by equipping you with a comprehensive set of Data-in-Use protection tools including Write-protect, Delete-protect, Access-protect, and Hide your data. Additional security features include Safe Mode locking, Stealth Mode, Hotkeys, and Auto-protection. Block Access To Files: Folder Protect can easily block access to files, folders, drives and programs you choose. Make your files accessible without giving away any additional rights to it's contents. Hide Files from Everyone... Except You: Tired of those prying eyes? Simply password-protect folders, files, pictures & videos using Folder Protect's No Visible feature and hide them from all snoopers. Maximum Data Protection: Folder Protect's write protection is quite unique and first of its kind because it lets other users access the files but still doesn't allow them to make changes to them. Delete-Proof Your Files: Folder Protect allows you to Delete-proof your important files. With a single-click password-protection, you can rest assured that your files are protected even from being accidently deleted. First of all i would like to tell you that there is a procedure which you can follow to protect your files from others to see and access just by hiding them in windows ..
- After right clicking there you will see the option as properties ..just click it ..
Now your file or folder is hidden and protected..
Just download and install the software and set the password for the files and folders which you like to protect.. The best file protecting software is 'Folder Gaurd'. You can set the folder guard to protect your files. 1.After downloading install that software in your computer. 2.Then make a double click on it to open. 3.Then you highlight the folder which you want to lock. 4.Then press 'Lock with Password'. 6.At last click on 'OK'. That's it by doing as i said you can lock your personnel files. 2.Then you go to the 'www.everstrike.com'. 3.Then you can see the folder protect software's. 4.Download any one of those software's. 5.Then install that software in your computer. 6.Then through this software you can lock your personnel files. Have you ever heard about "BitLocker Drive Encryption" ? This is the best software ever developed to protect files and folders. This is developed by Microsoft and comes with Microsoft Windows 7 Ultimate or professional version. 1. Go to Control Panel> BitLocker Drive Encryption. 2. Click "Turn On BitLocker" for the drive you want to protect. This opens the BitLocker setup wizard. If you are prompted for an administrator password or confirmation, type the password or provide confirmation. 3. Follow the instructions in the wizard. 1.please download a Folder Guard. 3.after installing softwere choose any folder which you want to lock. so this foder only open by you or who knows a password. i hope my information is usefull for you. You can download any one of the software and then install on your system to protect the files and folders.